This time last year, there was a man at LandWorks called Jarvis, he got caught up in a prison incident. As a result, he was removed from LandWorks and slid all the way back down the Jail snake to square one. It has taken him exactly one year to climb back up the ladders (metaphorical ladders, not the ones that get you over walls) and out again to LandWorks. The other thing I haven’t mentioned is, I like Pink Floyd, I just never really told anyone (except Jarvis). It’s hard to hide anything from Jarvis, because he’s done half a lifetime in prison, doesn’t tolerate fools, has a heightened sense of the truth, and now only deals with total honesty. Jarvis wheedled it out of me. (A commentary on how people cope with the world by withdrawing physically, mentally, or emotionally. In his year of absence, I always sent him a card, from our holidays and weekends away. 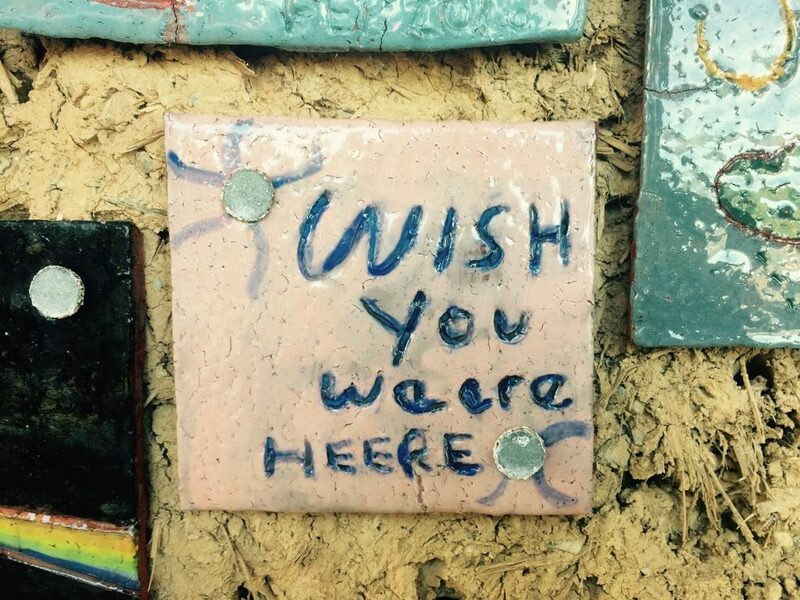 Always carefully scribing ‘Wish you were here’… I like to think he enjoyed the nod to Pink Floyd. Although I must admit he’s still not said anything… err I’m sure he will! But he has said a lot of other stuff…after a year away he’s noticing quite a few changes at LandWorks, happily providing feedback and comments on how we can improve things.